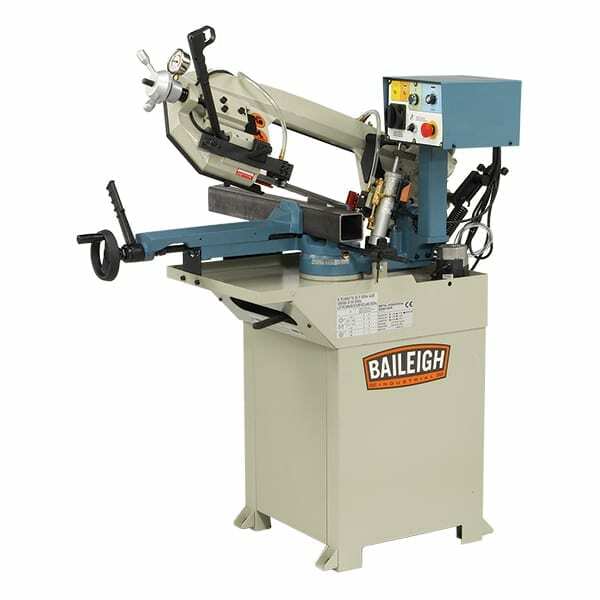 With a good mix of features at an economical price, this saw is ideal for small-to-medium machine shops or even garage or home shops. 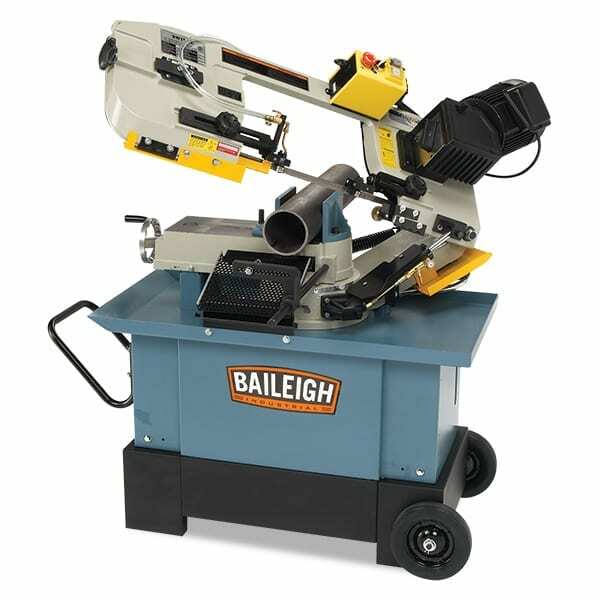 Baileigh BS 210M Manual Bandsaw has a good mix of features at an economical price, this saw is ideal for small-to-medium machine shops or even garage or home shops. 1.5 hp motor requires only 240 volts to run, so you can use it anywhere. 177mm round maximum capacity at 90°. 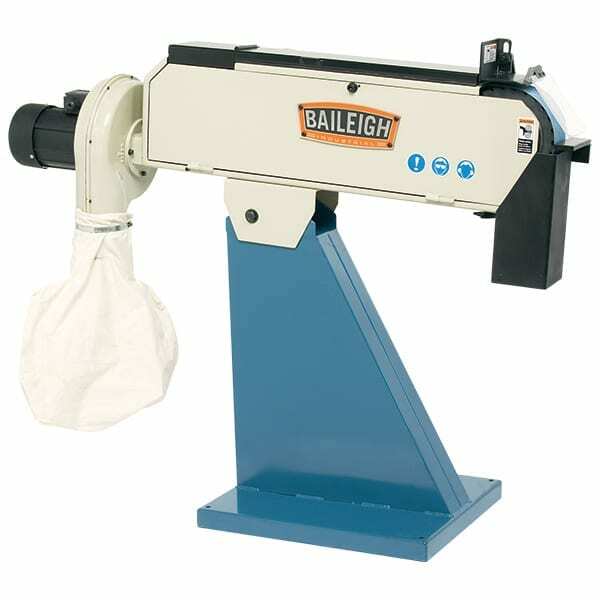 Swivel head miters up to 60° and doesn’t compromise the holding power of the vise. 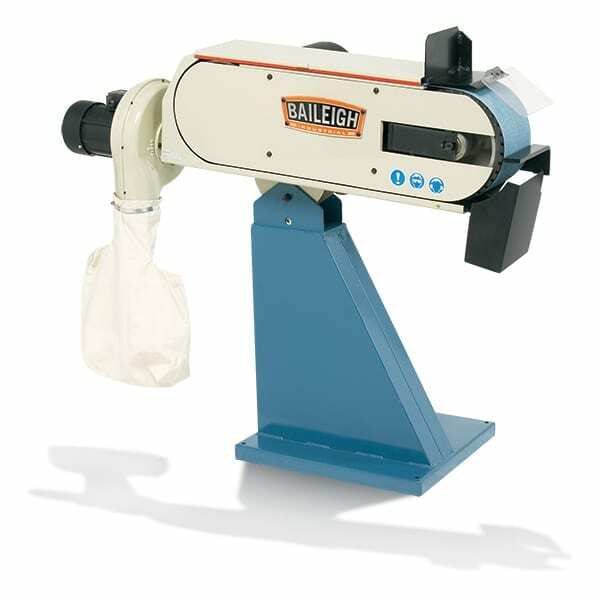 Cast iron saw head and bow reduce vibrations and help to produce clean, accurate cuts. 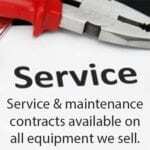 You can adjust the infinitely variable blade speed from 66 to 280fpm, controlled by an inverter, to produce quality cuts and prolong blade life. Adjustable blade guides, attached to sealed ball bearings, get as close to the material as possible to keep alignment straight and prolong blade life. Control the hydraulic descent pressure and choose the right speed to make a perfect cut for a given application. No need to monitor the machine! You can walk away; the blade will automatically stop once it’s done cutting the metal. 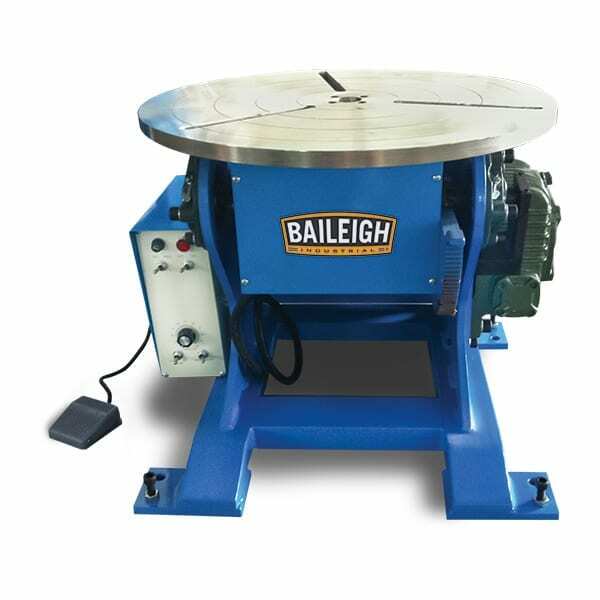 Fully-welded steel plate frame stabilises the machine and gives it the structural strength to cut at maximum capacity without straining. 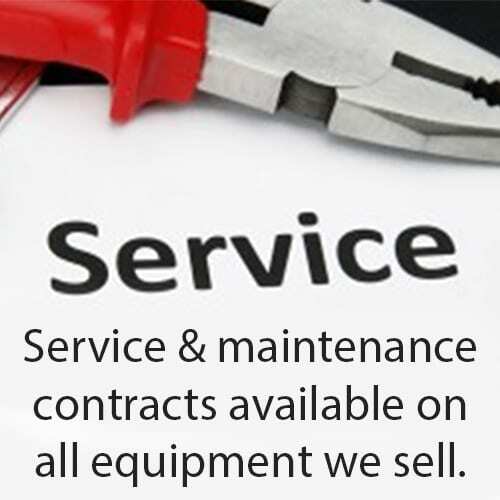 Both the saw and replacement parts are usually in stock for next day deliveries. 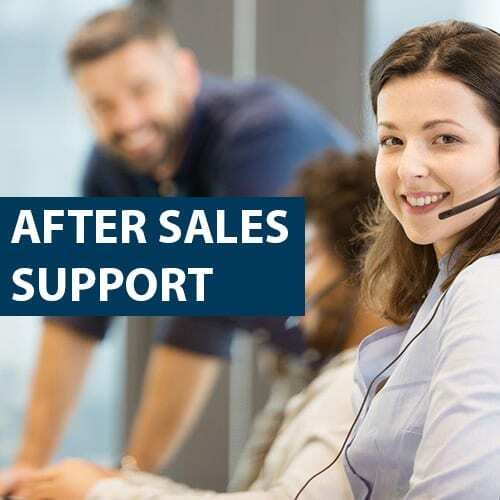 Lifetime technical support by phone lets you call our knowledgeable engineers whenever you need troubleshooting or advice on applications.